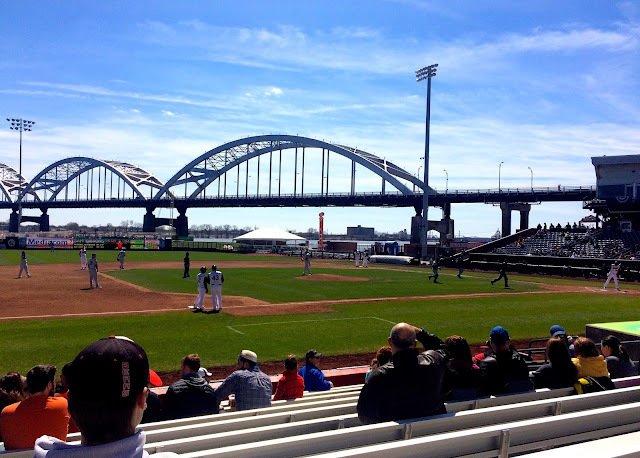 This past Saturday was opening day at our local River Bandits baseball field. 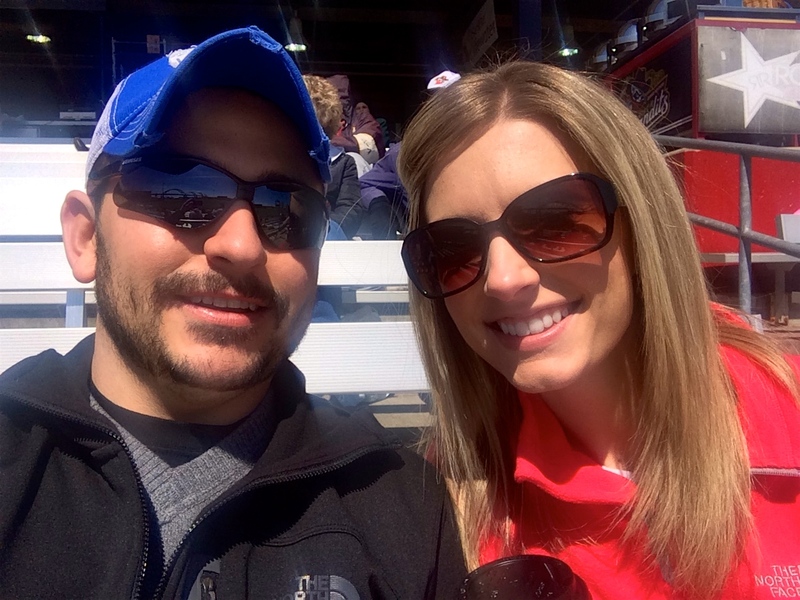 It was a little on the chilly side, but Trent and I decided to brave it and watch the first game of the season. After all, we have been looking forward to the start of baseball season all winter! 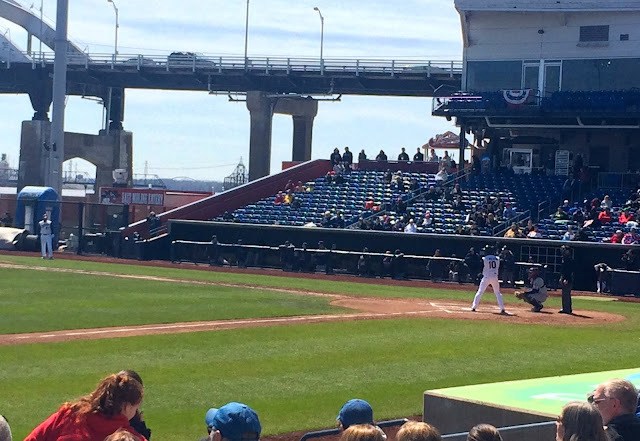 The good thing is that it was a day game, and the sun was out all day, which helped warm us up. I also got some hot chocolate and wore lots of layers, so it really was not too bad! Maybe about 50 degrees and sunny. Trent and I both got a little sunburnt on our faces after being out all day. It felt good to be outdoors though, like the start of summertime. Our friend Leo was the only one who decided to brave the cold with us. :) In the end we were glad to be the only brave ones of our friends out here, because we had a good time! 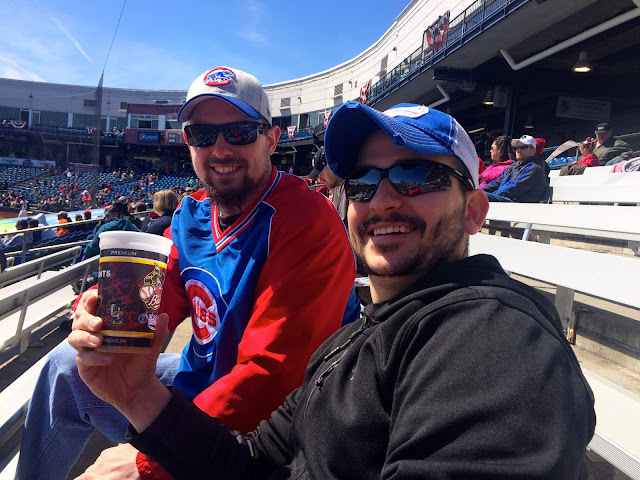 There wasn't too big of a crowd for opening day, and we ended up losing, but it was fun to get out for a little while and watch some baseball!